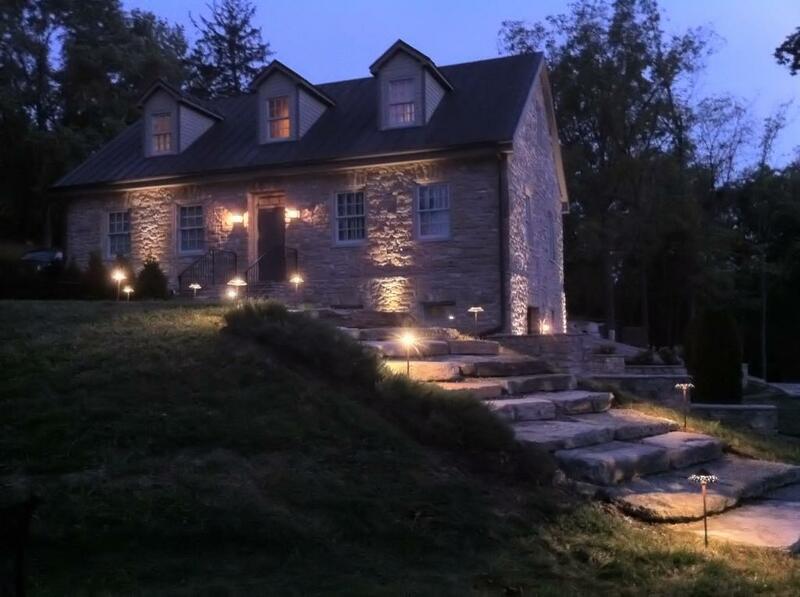 An outdoor lighting system will allow you to reap a full return on your lanscape investment by creating a nightscape that will be admired by all to see. Lighting is often the finishing touch on a landscape project. If you have already invested considerable time and money in creating a beautiful landscape that has transformed your house into a home, why leave it in the dark? Accent and highlight your specimen shrubs and trees or outline the unique architecture of your house with Landscape Lighting. Lighting also can give you night time visibility and security for your family and guests and can be a great deterrent of prowlers and thieves. There are many systems that Northhapton Gardens can design for you to achieve your specific outdoor lighting needs. We design our lighting systems and assist you in deciding what you want illuminate. Our knowledgeable staff can show and explain the specifications of the lighting fixtures, along with the many styles and colors that are available. Northampton Gardens is confident that we can create the nightscape look you want to attain while meeting your individual budget needs.